Having a photocopier can be essential in a lot of offices, but sometimes you don’t always want an office full of machines such as printers and scanners, especially if you are a small business. No matter what the size of your business, it is always handy to find a product that can save you space in the office, and even save you money. Having a premium quality machine such as a small desktop photocopier in your office can have many benefits, especially as many of them are now multifunctional and can fax, scan and print as well as their main function of photocopying. 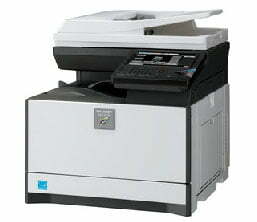 Here at Midshire we provide a full range of desktop photocopiers that will fulfil your office’s needs. All in all, a desktop photocopier has many benefits and is a sensible option for small to medium workgroups who’s print requirements match its capabilities. It will take up less space in your office reduce costs whilst providing high quality and efficiencies and offers the lowest total cost of ownership too. A main priority for a small business could be keeping costs down. In honesty, this can be a priority with a lot of businesses where profit is key. A compact device such as a small desktop photocopier is ideal in this sense, as it is more cost efficient than larger machines and offers multiple functions. On top of this, your smaller desktop device won’t require as much electricity as a larger photocopier, meaning you will not only be using less electricity for the environment but also saving money on your bills. If you work in a particularly small office, a desktop photocopier is ideal. Due its compact size, it will fit quite happily on the end of your desk therefore freeing up a lot more room for other office essentials. It is important to note that the size of the machine does not limit the functionality so this is great if you are struggling to fit in a stand-alone photocopier. By combining the print, copy, scan and fax options into one machine it automatically reduces the needs for multiple pieces of equipment. Its’ all contained within one small, smart device. As the desktop photocopier will generally fit close to your workspace, this can improve productivity and efficiency. You can easily save time during the day by placing the device near your desk, and most desktop photocopiers will accommodate printing from a USB or an iPad too, making this a very convenient and easy to use multifunctional device. The modern features of a desktop photocopier including the ability to pre-configure repetitive and common tasks such as scan to folder, scan to email and repeat print job settings can make a small desktop photocopier a powerful work tool if setup to suit the needs of the business and the individual operators. The size of the desktop photocopier does not compromise on quality, with the print quality and functionality being just as good as a bigger piece of equipment. Multifunctional desktop photocopiers can carry out the same tasks as a free-standing device including scan to email, scan to folder or cloud apps. Printing on a desktop photocopier is seamless and can be done in black and white or colour giving quality results when printed on both simplex (single-sided) and duplex (double-sided) documents. At Midshire we work with leading photocopier manufacturers such as Lexmark, Sharp and Ricoh to make sure we bring you products that will do the job.